Camping can be an excellent way to reconnect with nature. 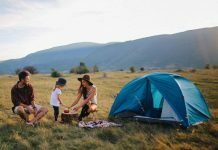 With little planning, you can have cheap and fun family camping. Even a first time camper can enjoy if prepared in a proper way for an outdoor trip. 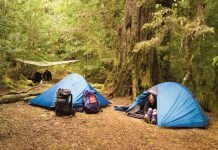 Here are few tips to consider before starting your campout. Before deciding the camping spot, choose what you want from the campsite. 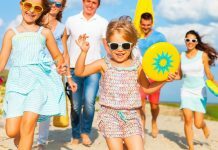 List out the activities that you and your family want to participate: hiking, swimming, fishing or riding on a bike trail. 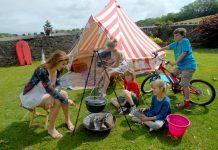 Then find out which camping spots are offering these activities. Decide whether you want a near campsite or a far campsite. 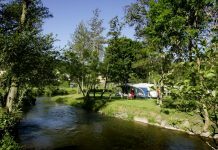 Many prefer near campsites that offer water, trash cans and fire pits. It can be more fun if you travel longer distance and enjoy activities in outdoor environment. Decide the type of food you want to include in your camping. If you plan the food before, you can get the necessary things from grocery store. Better prefer easy cooking recipes and recipes that do not involve cooking on fire. First aid kit is important while planning for family camping. You can immediately give primary treatment if anything happens. Kits contain all the necessary equipment with a first aid guide so that you can read instructions and apply whenever you are using. Pack everything in extra: a pair of shoes, clothes, and towels etc. The extras can come into use when it suddenly rains or your shoes sucked in a river.